Visitacion Valley Greenway Project is the sponsor of the Green Stewards Program, a special after-school and summer program. The year-long educational program incorporates outdoor environmental education experiences and field trips. Applications are available. Orientation and ongoing training in urban gardening and environmental education at the Visitacion Valley Greenway. 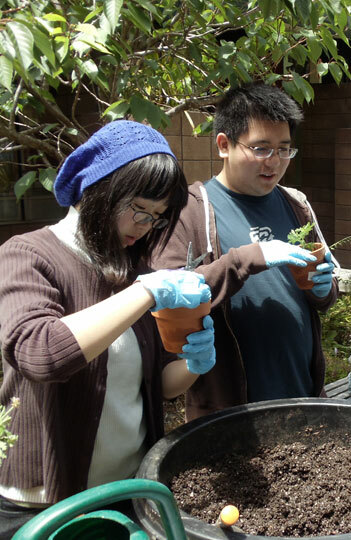 Exposure to a wide variety of disciplines, including arts and science and a broad range of career options, including horticulture, botany, landscape architecture and other environmental and natural sciences. Field trips to local museums and events. Residents of 94134 zip code with possible exceptions from neighboring communities. Permission form signed by parent or guardian. For further information, please call (415) 468-0639.